On Monday, Ford announced that the new 2012 Focus Electric would pace the NASCAR Sprint Cup Race in Richmond on April 28. As I was listening to the Ford official talk about this on my Sirius NASCAR Radio, he stated that electric vehicles like the Focus are the cars of the future. And while I have no doubt that he knows what he is talking about, I would also contend that electric vehicles are deeply rooted in the past. This technology has been dealing with the same issues and perceptions since the beginning of the automobile, and simultaneously, electric cars have been ahead of their time for more than 100 years. Last week I had the opportunity to drive the new Focus Electric on the streets of Santa Monica, Calif., and I learned that depending on your perspective, this may be the greatest commuter car in history, or it may be one of the most worthless vehicles you can buy. Because in spite of some truly incredible technology, there are still limitations on battery-powered vehicles that even the best engineers simply cannot overcome. The Focus Electric may very well be the best electric car ever built. Based on the same architecture as a gas-powered Focus, it already enters the game with a solid platform. The regular Focus is a sure-footed, fun-to-drive hot hatch, loaded with modern good looks and a full list of amenities and features. The Focus Electric is nearly as fun to drive, although it does suffer a 700-lb penalty due to the heavy 23-kWh battery pack. When power is such that it overcomes the weight deficit, I’ve always been OK with the feel of a heavy car for everyday driving, and the Focus Electric scoots around pretty nicely thanks to copious amounts of electrified torque. The Focus Electric has some real advantages over other full-electric cars. During our test, we drove it back-to-back with its closest competitor, the Nissan Leaf. Now first, let me say, that Leaf is one hideous creature. I mean, every inch of that car is ugly. The headlights, the taillights, the shape … all of it—just nasty. I would spend more time telling you how uneventful it is to drive, but I can’t get past the looks. It is amazing to me that anyone would go into a dealership, lay eyes on a Leaf, and choose to drive out in it. Yes, that is my opinion, but it is not up for debate. She ain’t got no alibi. I’ve been behind the wheel of other electric cars in the recent past, including the Smart Electric, the Mitsubishi i-Miev, the Chinese-sourced Coda, and the quirky Tango. None of them are particularly serious cars. In fact, they exemplify what electric cars have been since the 1970s: small, cheaply made oddballs with higher-than-normal price tags. If you love toasters and feel like you deserve to suffer, these are the cars for you. If you have any passion for cars at all, you’re probably not looking at a fat, chintzy appliance that rocks 12-inch wheels. Tesla is another manufacturer that gets a lot of attention. The Lotus-based Roadster that they’ve been building in very limited numbers over the past couple of years claims some advantages over most electric cars. Its lithium battery packs will hold a charge for 200-miles or better, and it has a top speed of 125-mph. Those kinds of numbers are unheard of in electric car circles. Of course, the car costs north of $100,000, it isn’t very practical, and if you allow the batteries to completely discharge, a phenomenon called “bricking” may force you to purchase a new $40,000 battery pack without the benefit of warranty coverage. None of these issues are present in the Focus Electric. It’s a good car, not a cheese-ball, street-legal golf cart. It isn’t going to “brick” on you, because Ford was smart enough to put the accessories on a secondary battery system so they don’t drain the main power source. And you don’t look like the captain of the Nerd Patrol when you get behind the wheel. Fun-to-drive, good-looking, and no gasoline? Where do I sign up? But hold on a second, Cowboy. There’s a problem, and it’s one that every electric vehicle owner has had to deal with since the late 1800s: range anxiety. Sure the Focus Electric gets a 110-MPGe EPA rating (that’s sort of the equivalent of a gas-powered vehicle), but you aren’t likely to drive 110 miles on a single charge. The EPA says you’ll go about 76 miles on a charge, and that can be more (or less) depending on where and how you drive. Charging a spent Focus Electric isn’t difficult, but it is time-consuming. If you use the optional 240-volt charger, you can be on your way in about three or four hours. If you use a standard 120-volt wall outlet, block out about 18-20 hours before the charge indicator ring on the fender turns completely blue. If you live in a small, urban area, the Focus Electric may be the car for you. Our test drive wound through the busy streets of Santa Monica, Calif., and there were Nissan Leafs (Leaves?) and Chevy Volts all over the place. If they weren’t in motion, they were plugged into one of the many charging stations throughout the city. 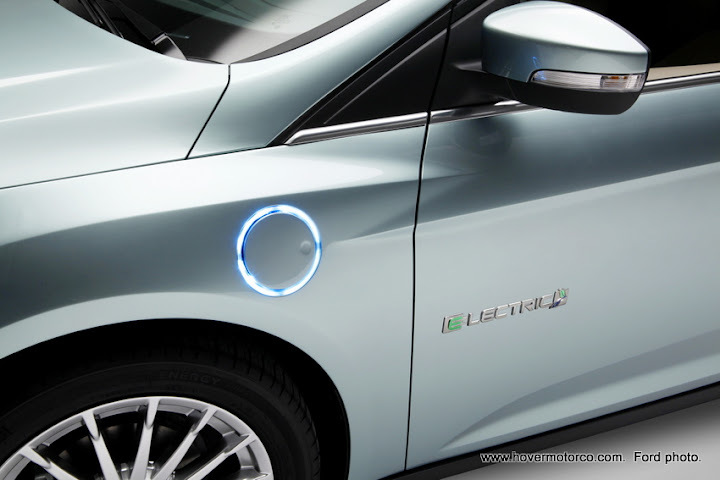 The Focus Electric could make sense there, because there is already an infrastructure in place that caters to electric vehicles. Now I don’t live in Santa Monica. In fact, I’m a hick from Missouri. We don’t have them fancy-pants charging stations on every corner. There would be no place to juice it up at work. By the time I drove a Focus Electric from my house in Parkville to my office in Overland Park, took it to lunch in the afternoon, and headed back to Parkville when the whistle blows, I’d be in serious jeopardy of even making it home. I doubt I could do enough regenerative braking maneuvers to make up the deficit. This car just flat wouldn’t work for me. And God help us if we wanted to take a family mini-vacay to Omaha or Branson. And there lies the rub with this kind of car. It’s either the perfect solution for you, or it solves nothing at all. This disparity in utility is reflected in the sales predictions for the Focus Electric. When things get rolling in the next couple of years, don't expect many of them to be added to the traffic stream each year. And half of those that do get built will probably be fleet (usually government fleet) vehicles. Still, Ford officials point out that they have the ability to ramp up more production if the demand is there. So will the presence of the Focus Electric at the front of the NASCAR race in Richmond sell a lot of cars? These are people that pay good money to watch 800-hp, un-muffled V8 monsters beat and bang for 400 fuel-sucking miles. They may not overall be the target market for a nearly $40,000 (less up-to a $7,500 tax credit!) electric compact. But even they (and I include myself here) should embrace this car. Manufacturers are held to certain CAFE (Corporate Average Fuel Economy) standards, so the more Focus Electrics Ford sells, the more Shelby Mustangs they can pump into the pipeline. That means that even if this car isn’t right for you, it’s good that it’s right for somebody. 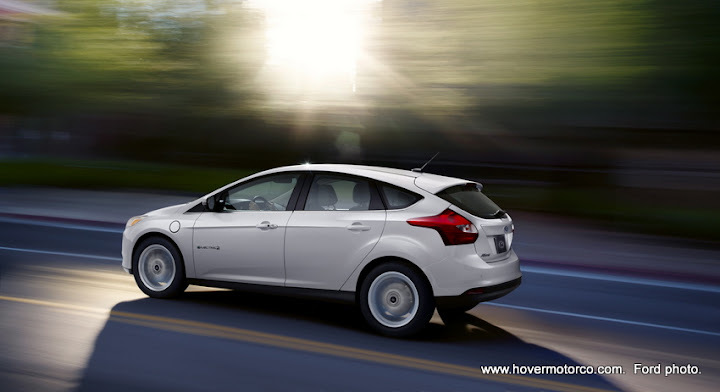 The Ford Focus Electric is a car that can benefit everybody, whether you realize it or not. And if it works into your driving schedule, all the better. Photos below are from my ride and drive experience of the Ford Focus Electric in Santa Monica, and include some shots of the shockingly unhandsome Nissan Leaf comparison vehicle. There are also a few Ford Media shots of the Focus, as I am not always able to capture a car in the best possible light parked in a narrow alley behind a hotel. That leaf is truley revolting. Did it hurt your eyes to look at it or just my eyes looking at your pictures. Your pictures don't truly do justice to how ugly it is. I like the not having to buy gas. Too bad they can't get the range better. If I were in the market, I too would buy this over the Nissan version. Would totally own one if they could increase the range. But only 76 miles? Heck, we suburbanites would end up stranded all around the city. Craig - my favorite part of your review: "That means that even if this car isn’t right for you, it’s good that it’s right for somebody. 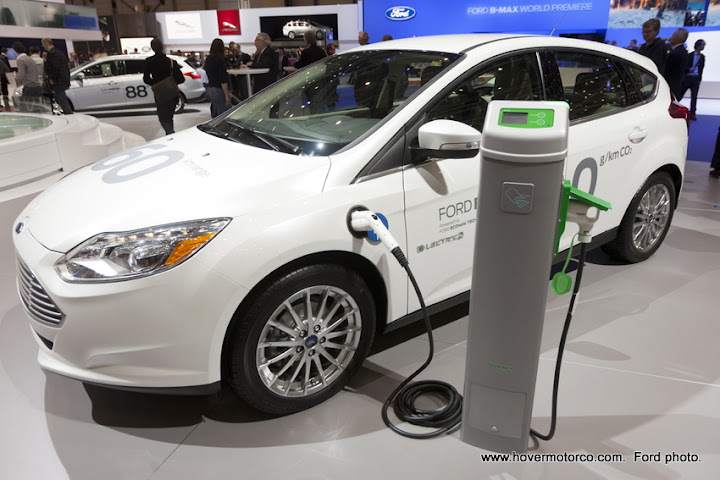 The Ford Focus Electric is a car that can benefit everybody, whether you realize it or not. " Great read! I have 16,000 miles of gas-free driving on my Nissan LEAF. The Ford Focus EV copied the features and function of the LEAF pretty closely because Nissan did things right. The looks of the LEAF, well, women seem to dig it (and it always amazes me). 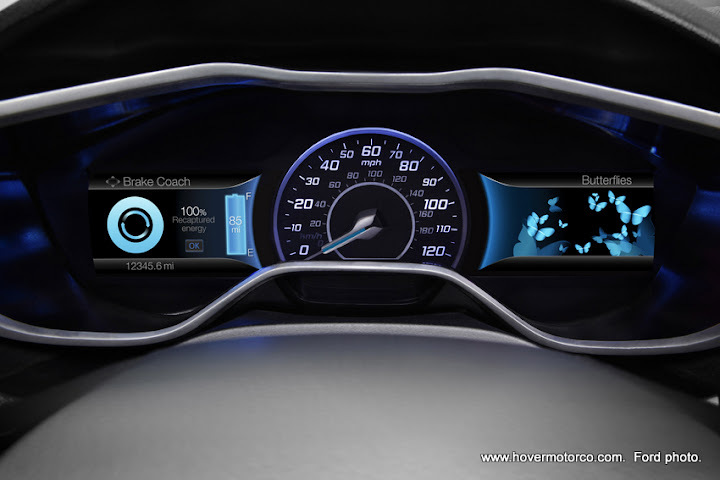 The LEAF also has the slowest and the fastest charging options. I use the 30 minute fast charge regularly, it's a huge plus. I can't wait to test drive a Focus EV, it seems like a great car.